Martine and I drove to Oxnard today to pay a return visit to the Murphy Auto Museum. We began our trip with a big surprise. When we were there in April, Martine had left her Magellan cane seat in the rest room. After three months’ absence, a volunteer went into the back room, fetched it in a few seconds, and handed it over to Martine. We were both bowled over. That put our visit on a good footing from the word go. 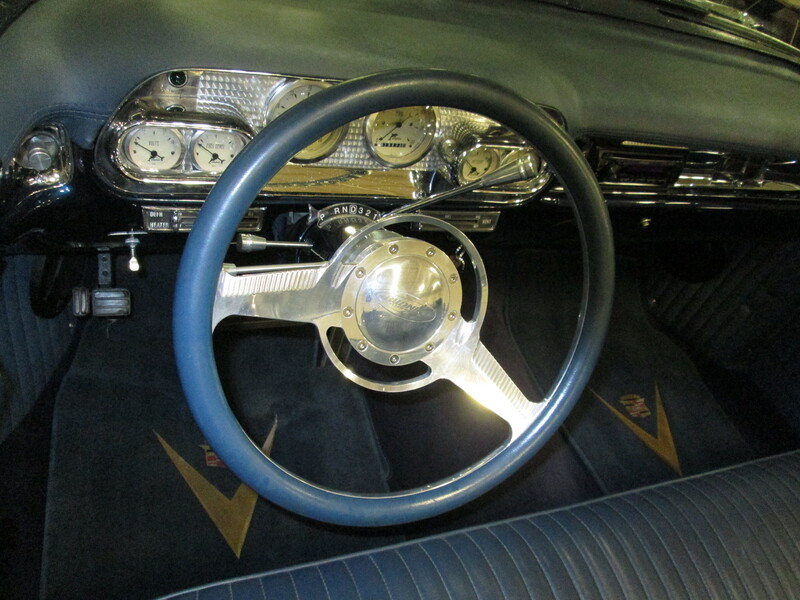 Unlike the two major auto museums in L.A., the Murphy concentrates on American cars, many only 10 or 20 years old, that are beautifully restored and cared for, such as the metallic blue El Dorado from the above photo (I forget the model year) . There was a special exhibit of vintage trailers, including a large Airstream and a small teardrop. It led me to dreaming about getting a small camper van for visiting desert campgrounds. (If only I had the money!) A number of the trailers were custom-made and manufactured from a variety of materials with varying degrees of professionalism.